In today’s economic climate, it isn’t uncommon for debt to get out of control. In fact, the average household is five figures deep in credit card debt. If you think that filing for bankruptcy is your only option when you fall behind on your bills, when your debt has gone to collections, or when you are being sued by a creditor or debt collection agency, know that there is a viable alternative to further damaging your credit score. As a former debt collection attorney for several years, lead attorney Heather Benveniste uses her previous experience to save consumers like you thousands of dollars on their debt settlements. Allow Heather to help you pursue a debt-free life! 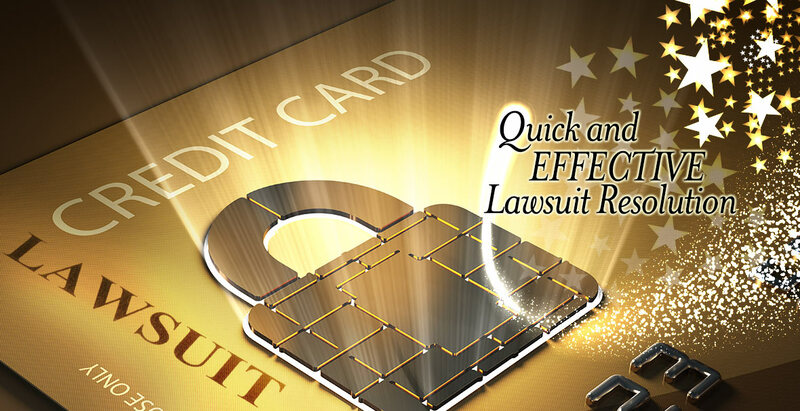 With the help of an Illinois debt settlement attorney, you can get rid of outstanding debt so that you may move ahead with better credit. Benveniste Law Offices helps consumers who are in debt negotiate with creditors and debt collection agencies so that they may pay off their debts quickly, without filing for bankruptcy. We are the non-bankruptcy attorneys of Illinois and are known for doing all we can to help consumers like you avoid this monumental blow to your credit history. Our attorneys strive to help you receive a fair deal from creditors and debt buyers, who stand to make a profit from your debt. We also staunchly defend debtors who have been sued by their creditors. If you have a second mortgage or non-consumer commercial debt, our services can provide substantial benefits for you too! Allow Benveniste Law Offices to be your source of support when tackling your debt and improve your credit score today! Saved Me Thousands of Dollars! "I have hired Heather three times over the last few years to help with my credit card debt. She handles all contact with the collection agencies and I never had to go to court. Each time she was able to work out a reduced repayment amount with an affordable payment plan. I was very pleased that on the most recent occasion, even after her fees, I saved over $9,000. I would definitely hire Heather again." "We had contracted a large credit card debt and responded to Ms. Benveniste's advertisement for a consultation. Having been clearly advised of the facts and the possibilities, we hired her to handle the negotiations for debt reduction. Ms. Benveniste was able to obtain debt relief for us of about $10K. And quickly!" "I had an unexpected wage garnishment against me from a rental I had years ago. Although the rental company kept my deposit they still took action against me for leaving a month early on my lease. Heather contacted the law firm and got them to settle my case for a fraction of the cost and release the garnishment. She was very patient with me during the process and alway made me feel like had options. I appreciate her so much. Thanks Heather." "Heather helped me on 3 different cases. I never had to go to court. She's very friendly and reliable. She kept me informed throughout the entire process. I didn't talked to her much. Everything you need is in the portal she creates for your case, it has all the information you can view at your convenience.. Nor to mention the fact that She saved me a lot of money. I highly recommend and will hire her again."